Is it too soon to get excited for Spring Break arriving in three weeks? I know I can’t be the only parent eager for an escape away from a tight schedule, reading logs, and school projects. It may only be nine days long, but those are the best nine days I have until the next holiday rolls around after Easter. Throw me a bone here! While we don’t have anything out of the ordinary arranged during this mini vacation, I’m determined to make it just as much fun as going away. Toodie is at the age where all she wants to do is be with her friends and they aren’t typically hard to please as long as they’re keeping busy. 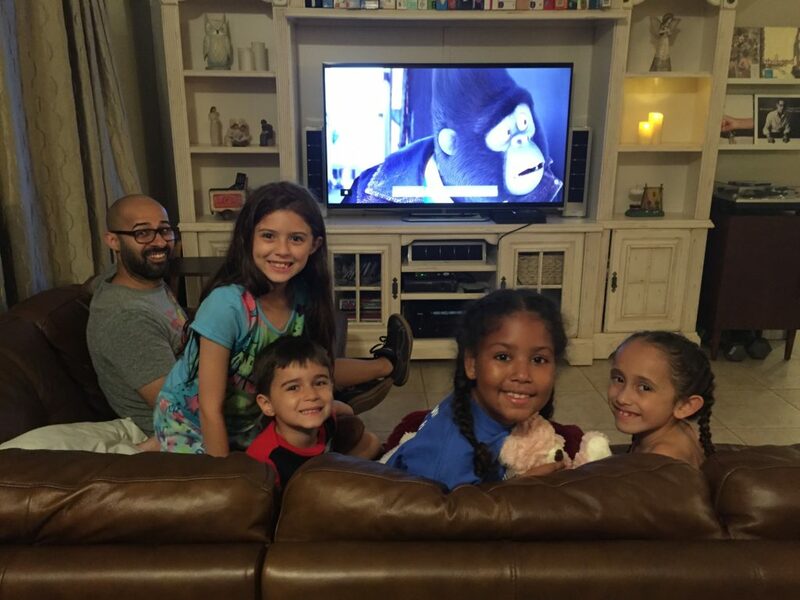 To avoid hearing the dreaded words “I’m Bored”, they spend a lot of time in the pool followed by movie nights watching the newest flick. 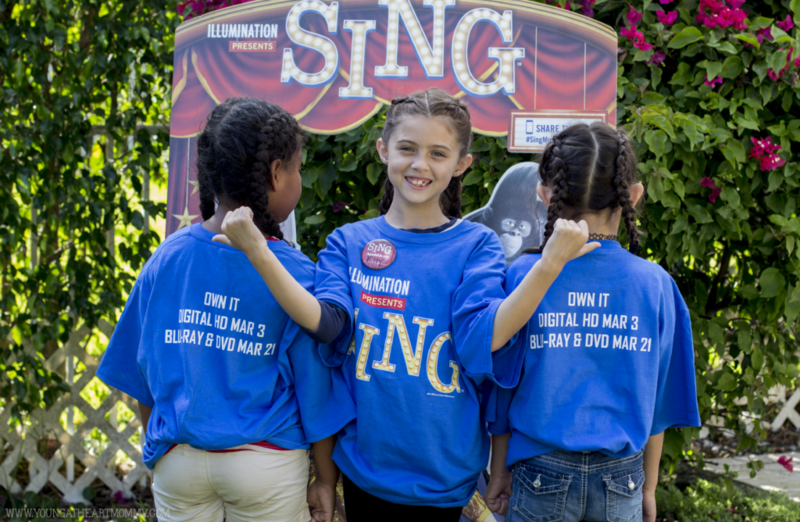 One movie I know we’ll have on repeat is the musical extravaganza, Sing! 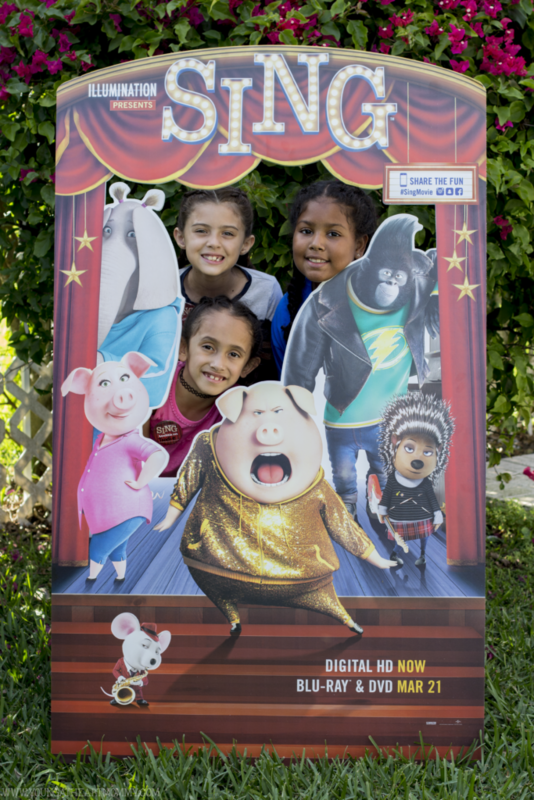 From Illumination Entertainment, the studio that brought you The Secret Life of Pets, comes an animated comedy about finding the music that lives inside all of us. It’s got head-bopping tunes and dancing moves that’ll make you want to get out of your chair to toe-tap! Sing stars an eternally optimistic koala, Buster Moon, who puts on the world’s greatest singing competition to save his once-grand theater that’s falling apart. Facing the dilemma of watching his life’s ambition crumble to dust, he hatches this plan in hopes of turning it all around. But when a typo inflates the grand prize to 100,000 dollars, the contest attracts the attention of several talented animals ready to sing their hearts out! This includes a harried pig mom desperate for a break away from her 25 piglets, young gangster gorilla, shy elephant, and punk rock porcupine. Who will win? You’ll have to watch and find out! 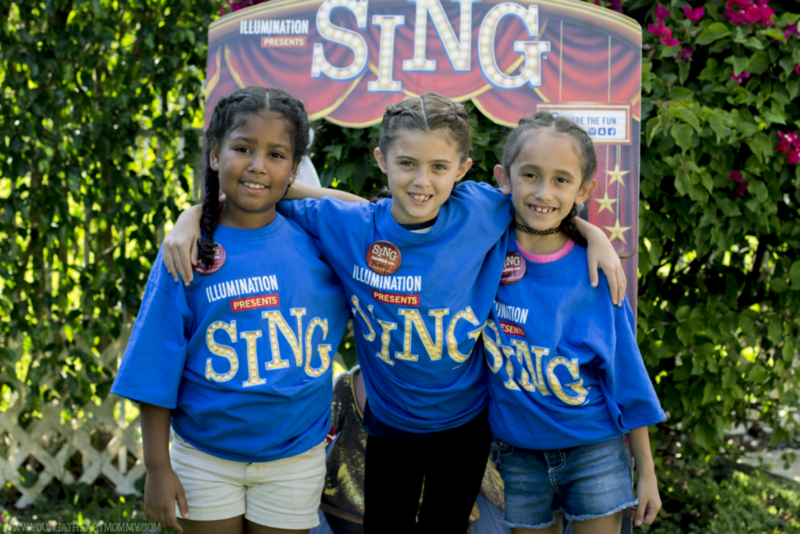 Sing is the musical comedy event full of catchy tunes, hilarious performances, and quirky humor. It’s light-hearted and full of lovable characters like Illumination Entertainment’s Despicable Me, Minions, and Dr. Seuss’ The Lorax. Ready to party with your own animals? 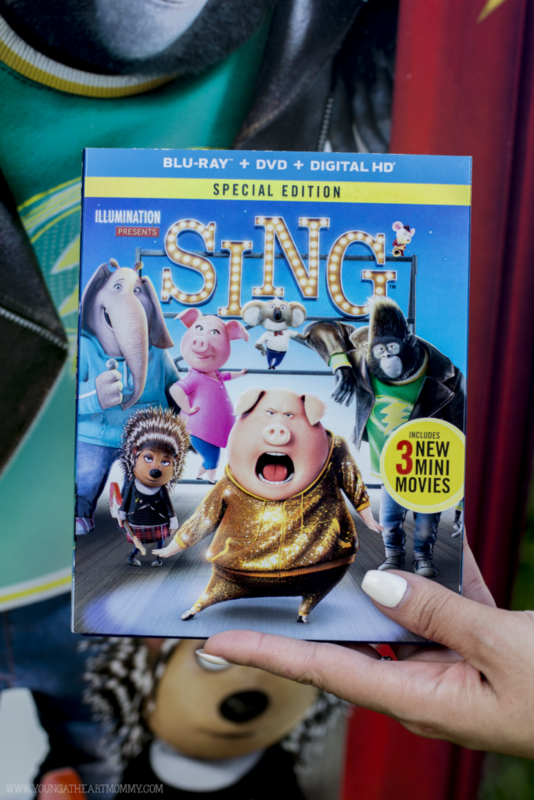 Enter below to win a Special Edition of Sing which includes the Blu-ray, DVD, and Digital HD copy. I like Meenah. I love the way she is so shy but then comes out on top at the end. I haven't seen it but I do love the little porcupine girl from the trailers. I haven't seen it yet... but I love the pig! I like Rosita the best. Gunter is my favorite character from Sing. Thanks for the giveaway. I hope that I win. I haven't seen it yet, but I'm pretty sure my favorite will be Rosita! My favorite character from SING! is Rosita! She's got a lot of youngins! I love Rosita she is my favorite. I love Rosita! Like so many moms, she's smart & has it all together! AND I love her grocery store dance scene! I haven't seen it yet! I love all of their voices. I am interested in Ash the most, though. My daughter is excited about this movie, too :D She is interested in Rosita! My favorite character is Rosita. I like Rosita the most. I love Johnny because he reminds me of myself always sacrificing myself for others. But Ash is my Alter Ego! Thanks for the opportunity and enjoy your upcoming weekend!! We haven't seen it yet but by seeing the preview and reading reviews I think we will really love Meenah! I love Rosita,she's got all those adorable kids! I haven't seen the movie yet, so I am not sure which character would be my favorite. I haven't seen it yet, but seen the commercials, love the piggies. Rosita is favorite character from the SING Movie. I haven't seen the movie yet, but Rosita looks like an interesting character that I would like. I love Johnny. He is such a good singer and has a great attitude. I haven't seen it yet so I don't have a favorite, but I would love to watch it! Rosita is my fav character. I like the Ape, but loved the porcupines! Buster Moon is my favorite.